I am most definitely on a smoothie kick right now as I try to detox from a heavy Christmas period. We all got heaps of chocolate which we have all been trying to get through so it's out of the way. Now it's almost gone I have been making myself a healthy smoothie in the mornings to make myself feel better about myself. It's true and its defiantly working. I'm feeling like I'm getting back to normal now and the smoothes are taking me right through to lunch. 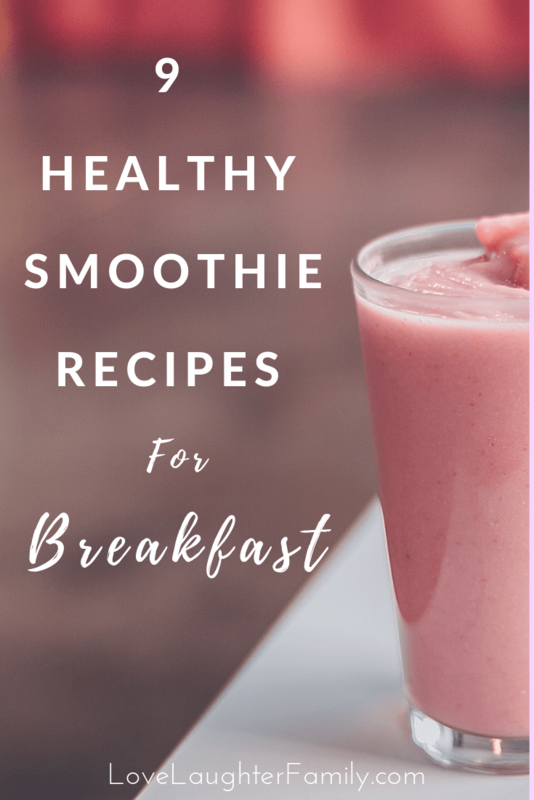 So if you are a snacker these smoothies are a great way to help stop any unnecessary snacking between breakfast and lunch. You can also add in lots of healthy super foods without having to worry about tasting them. Great if you do not like certain foods or you want your kids to try them. I've tried a few of these recipes, some are ones on my list to try in the coming days. When I search Pinterest for a smoothie recipe I tend to just find ones I like the look of and it's always a bonus if it has coffee in! Living with Luke a personal trainer and health buff I've been able to learn a few bits about what makes a healthy smoothie. 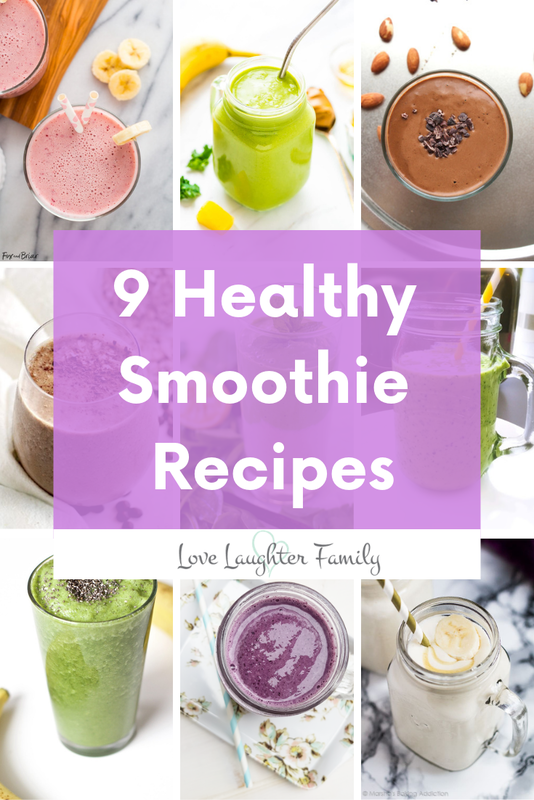 So with this in mind here is a list of 9 healthy smoothie recipes that are great for breakfasts, weight loss and generally health. You will need a blender of some sort, we love our NutriBullet. This can be made with or without the added protein powder, some days I have it with but mostly without. When I add the powder I usually remove some of the oats as its quite a thick smoothie. This banana smoothie is delicious and partly because its quite high in sugar, oops, but it's so yummy it just has to be on the list. It's all healthy ingredients and uses almond milk instead of cows. 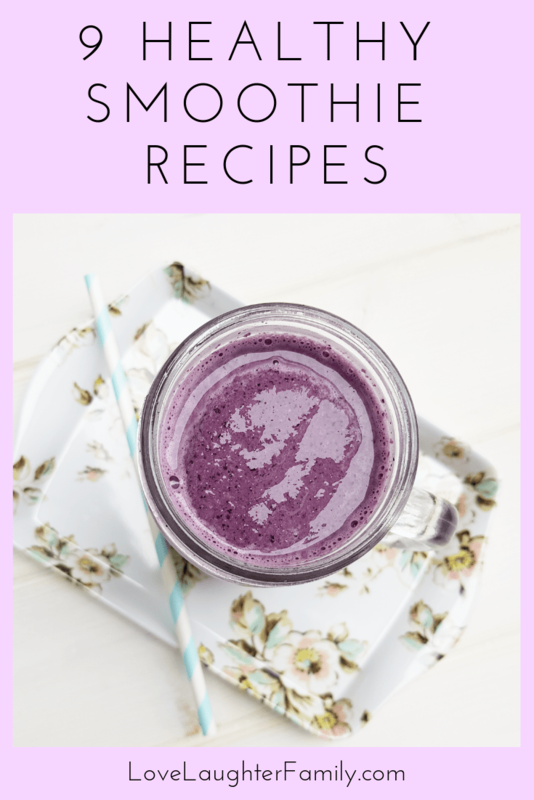 This super healthy smoothie is packed full of baby spinach, ginger and Chia seeds along with some delicious fruit to give you an energy packed smoothie to carry you through your day. This is apparently a great post workout smoothie that is full of flavor. Anything with berries gets my attention and this certainly looks pretty tasty, it's one I really want to try. Okay this has to be the healthiest on the list. I am yet to try it as it's so healthy and 'm a bit scared. It has Aloe Vera juice, Pista powder and avocado in. Like I said it's super healthy, it does also have some nice ingredients, so hopefully they all hide the not so desirable ones. This is another I have tried and must say it's quite nice, you can't really taste the kale luckily! If you do just put less in next time or swap it for spinach. I love the added nut butter for that little protein hit. This is one of my favorites! This and the blueberry oat smoothie are my go to smoothies. On days when I need a coffee hit its this one. It's got plenty of healthy components and of course my favorite part the shot of coffee. We have a Nespresso machine which makes life so much easier. If you are a fan of kiwis then this could be up your street. It's a kiwi based smoothie with added spinach for the "healthy" part. This is actually Luke's favorite, he loves a mocha and this is a great alternative, especially on a hot day. It uses raw cacao powder instead of your traditional cocoa powder which has more sugar in. Like before we use our Nespresso machine to add a shot of coffee however this recipe uses instant coffee. We tried instant coffee before in a smoothie, it didn't work. Make sure you make the coffee first, chill it with ice and then add it to the smoothie. Go ahead and try as many of these smoothies as you can and be sure to let us know what your favorites are. If you have some of your own to share, leave the link in the comments section below.